John Hindhaugh talks to Alex Lloyd about his Indianapolis victory, Declan Brennan has the latest oval news, Allan McNish on the Audi R8, Ronan Morgan from Rally Ireland, and Nick Daman on the US Grand Prix. 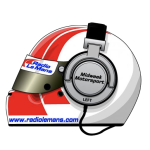 Counting down to the start of the WeatherTech Sportscar Championship, ..
Tim Gray hosts the weekly round-up of news from the ..
John Hindhaugh is joined by Shea Adam, Jonny Palmer and ..
Nick Daman reports on Esteban Ocon's promotion to Formula One ..
Series nine continues with an Allan McNish retrospective, plus the .. It's raining on Marshall Pruett at Indianapolis, but he's still ..